Seventeen year old Dauphine McKee possesses the type of classic beauty that never goes out of fashion. The Canadian newcomer with Irish origins made serious inroads at the Fall/Winter 2013 collections logging a 35 show tally which included turns on the runway for Ralph Lauren, Proenza Schouler, Hervé Leger, Emilio Pucci, Jil Sander, Bottega Veneta, and Chanel. The statuesque 180 cm Toronto native dazzled casting directors and designers with her delicate pristine features, emerald green eyes, and incandescent personality. McKee's exudes an early nineties supermodel retro vibe with her jaw-dropping athletic physique and her remarkable likeness to fellow Canadian super Liisa Winkler. With an impeccable show list that reflects a restrained quality versus quantity approach, McKee's magnetic presence on the runway left an indelible impression on all in her midst, landing her squarely on Inoubliable Model Army's Top 10 Newcomers list for Fall/Winter 2013. Perhaps though it is McKee's stunning versatility on and off the runway, ranging from refined elegance to amazonian goddess, which will enable her to convert her considerable runway traction into key editorial and campaign bookings in the months ahead. McKee chatted exclusively to Inoubliable Model Army about the whirlwind Fall/Winter 2013 season, her love of musical theatre, and landing the Chanel show whilst taking in the magnificent sights of Paris. 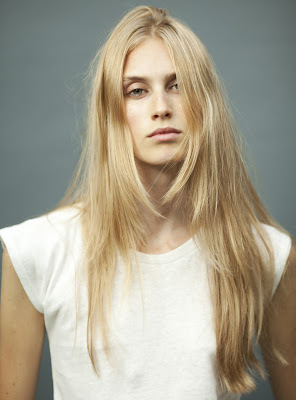 Inoubliable Model Army (IMA): Hi Dauphine, congratulations on a sensational show season and on making it onto Inoubliable Model Army's Top Ten Newcomers list for Fall/Winter 2013! How are you feeling about the season overall? DM: I feel so happy about the past Fall/Winter 2013 season! It was so incredible to walk in so many shows, and it was a dream come true to walk in the caliber of shows for such famous clients as Ralph Lauren, Calvin Klein, Jil Sander, and Chanel. It most definitely lived up to and exceeded my expectations. I already feel so grateful to have the opportunity to travel the world for the shows. IMA: You're relatively new to modelling, can you fill us in on your backstory? DM: I am currently 17 years old and began modeling about a year and a half ago, at 16. I am from a small town outside of Toronto, but currently live in Toronto. My grandpa was born in southern Ireland, in Mullingar, so I am basically all Irish! I began modelling completely by accident; I was just walking down Queen Street in Toronto, shopping with my family, when I was approached by a scout asking if I had ever thought of modeling. Immediately, I said, "Yes!" I had heard of that agency before, and having always loved Musical Theatre, I thought that modeling tied perfectly into that. From there everything took off. IMA: Your stellar show list includes appearances at famous designer shows such as Calvin Klein, Proenza Schouler, Ralph Lauren, Reem Acra, Hervé Léger, Antonio Berardi, Jil Sander, and Emilio Pucci. What have been you favourite moments of the season and if there was one look that you wore that you could have kept which collection would it be from? DM: Thank you so much, it truly was a dream come true to do all of those shows, they were all highlights for me and I had favourite moments from each. I remember standing in front of the Eiffel Tower in Paris, and my agency calling to say that I had a fitting for Chanel. That was a very powerful moment for me, just taking it all in and realising how lucky I am to be having these amazing experiences while walking for these great designers. Another incredible moment was doing the Jil Sander in Milan, as it is a truly prestigious show for a model and I was honoured to be able to walk with that calibre of models. However, I would have to say that meeting the designers in person was really incredible, and I couldn't have asked for a better way to finish off my Fashion "month.” I really did love all the outfits I wore, but I think my favourite would have to be the bandeau with the skirt at Calvin Klein. I felt like it was quite different from the rest of the collection and definitely something I would love to wear myself! IMA: The show season is always a busy period particularly for newcomers. How did you cope with rush of castings, round the clock fittings, and long hours of prep for the shows? What tips would you offer to newcomers to get through such a schedule? DM: I also had my mom come with me, and it really made the biggest difference throughout the journey. Having someone there to support you makes it so much easier. Personally, a tip that I always try to remember is to just keep a positive attitude through the whole experience and remember that you have to have as much fun as you can. You can't forget how amazing it is to be able to travel the world, and when you feel overwhelmed, remember to take a deep breath and relax. IMA: With so many new faces looking to breakthrough each season, what was your approach going into castings to wow casting directors and designers? Were there any memorable moments that you can recall during the castings? DM: There are so many new faces every season, so I tried to always look as presentable as possible. In my opinion, it's all in the walk, your style and your personality, and my agency was great at helping me with what to wear. My goal was to have positive interactions with the casting directors. A memorable moment was definitely meeting the casting directors particularly in New York, who were super supportive and nice, and cast me in some of the key shows that really launched me into the rest of the fashion month. IMA: You landed a major coup with your appearance at Calvin Klein. What was involved in the casting process, when did you find out you had been confirmed, and what was your feeling at the time? DM: I went to the original casting, and then a call back. After that, I went to a fitting where I got to meet the designer himself, then a second re-fit the night before the show, after which I received the confirmation from my agency. When I got that email, I was so excited. It was such an incredible feeling, and walking out on the runway was just as if I could take on the world. All of the craziness of the week melted away and it was so hard not to smile, it was all too exhilarating! IMA: Did you find the time to bond with any other models/newcomers in particular during the extremely busy fashion period? DM: I met a ton of new girls! I always love seeing other Canadians. I got to see Grace Mahary a lot while I was away, and also Amanda Laine (with Elite Model Management Paris), who has been one of my idols since I started! 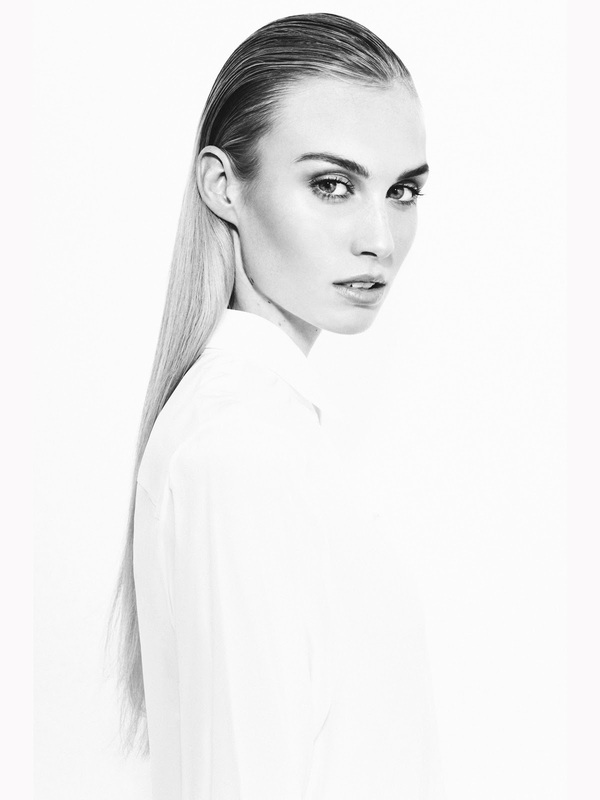 I also met a girl named Elisabeth Erm (also with Elite Model Management Paris) who is a newcomer as well. We saw each other at a lot of shows and we just worked together for an incredible photo shoot. IMA: Your look is incredible versatile and allows you to adapt to fit in with the aesthetic for many different collections. Do you enjoy the process of transformation and what other aspects of runway do you find appealing? DM: I absolutely love being transformed for each different runway look, and being able to act as different personalities on the runway is truly my favourite thing about modeling. This is where my love for musical theatre comes in handy, as having that acting background makes it easier for me to mold into what that designer wants from the models on the runway. The makeup and hair help a lot, too, and when I see myself after both hair and make up is done, it's easy to become that person you see in the mirror. I also really enjoy being in front of all those people in the audience, it's such an adrenaline rush! IMA: What do you hope to achieve in modelling and what alternate career path would you have pursued had modelling not come into play? DM: It's so early on but I am just trying to enjoy every aspect of it that I can. I am in my last year of high school which takes up a lot of my time, so once I'm done I can really delve into this whole world and career. Of course, as with every new model, I would love to experience long-term success in modelling, and otherwise, I would love to perform in musical theatre every day because singing is such a passion of mine. IMA: Are there any misconceptions about models or modelling that you have encountered since you have been modelling? DM: I think there are a lot of stereotypes around the industry, but I have found that the girls are really very nice! I heard a lot that the girls can be very competitive, but I have met many from all over the world who are very sweet, and we have become really great friends throughout this whole period. DM: This is a question you should ask the casting directors! I think I have a good sense of humour, and I love to have fun backstage with everyone. I really think that bringing a good energy to everyone is important!